On the third weekend of my Fall internship in Cape Town, Connect-123 organized a trip along the Garden Route. It was the weekend of Heritage Day, a national holiday in South Africa, so we got an extra day of fun in at no extra cost. It was an amazing experience. 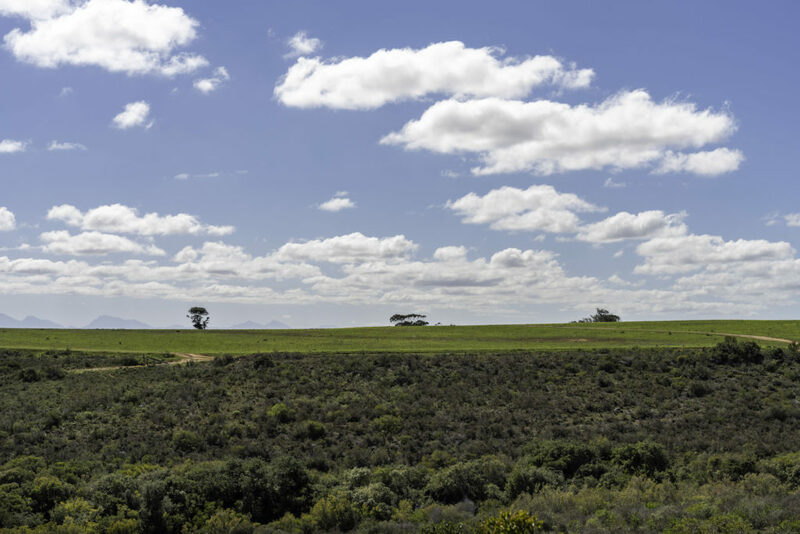 The Garden Route is a 190-mile-long stretch of the South-Eastern coast of South Africa. The drive was scenic and beautiful. We passed through the countryside, farms, mountains, and semi-arid desert. 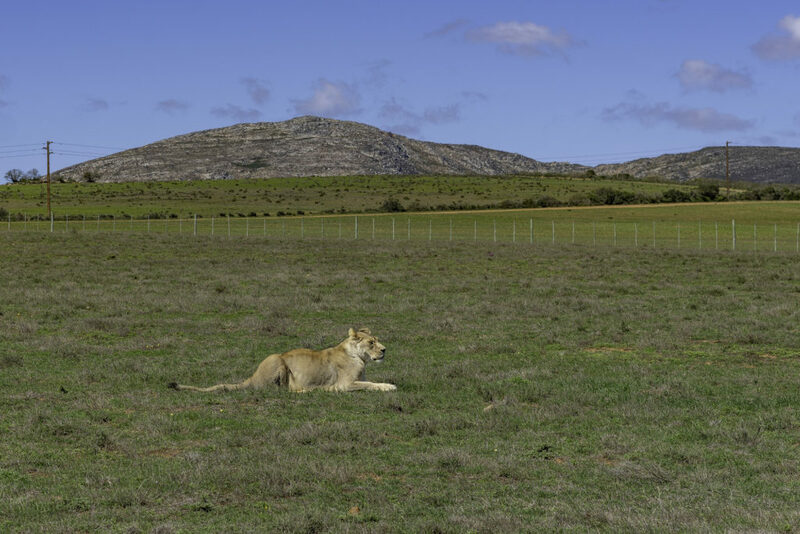 The first stop we made along the way was the Garden Route Game Lodge for a wildlife safari. Doing a safari was near the top of my list of things to experience while in Africa. 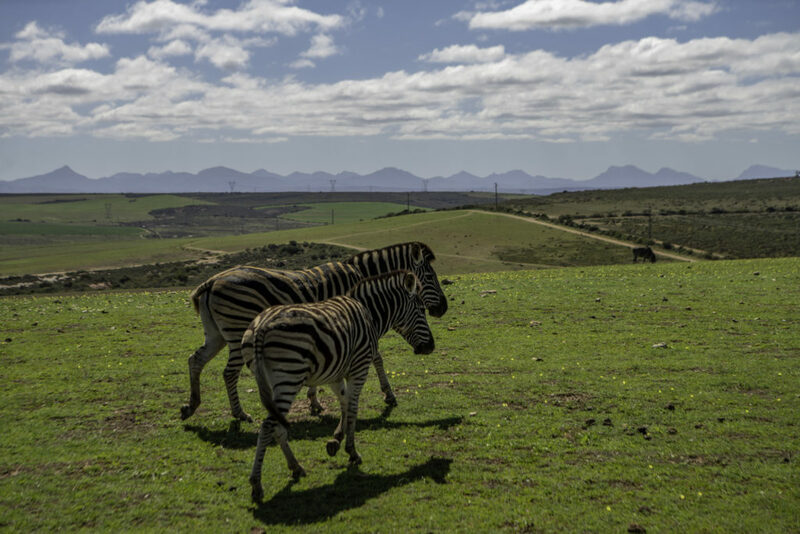 Some of the animals that live on this huge private lodge are zebra, lion, cheetah, springbok, and giraffe. I was excited to see these creatures up close in the wild, as opposed to a depressing close encounter at a zoo. I think zoos are a bummer. At the game lodge there was plenty of prey for hunting and grass for grazing. The herd animals were together, not isolated in a pen so tourists could marvel at them. Our safari guide was incredibly knowledgeable and passionate about wildlife. He answered all our questions about the animals and the vegetation. Safari trucks are such cool vehicles. 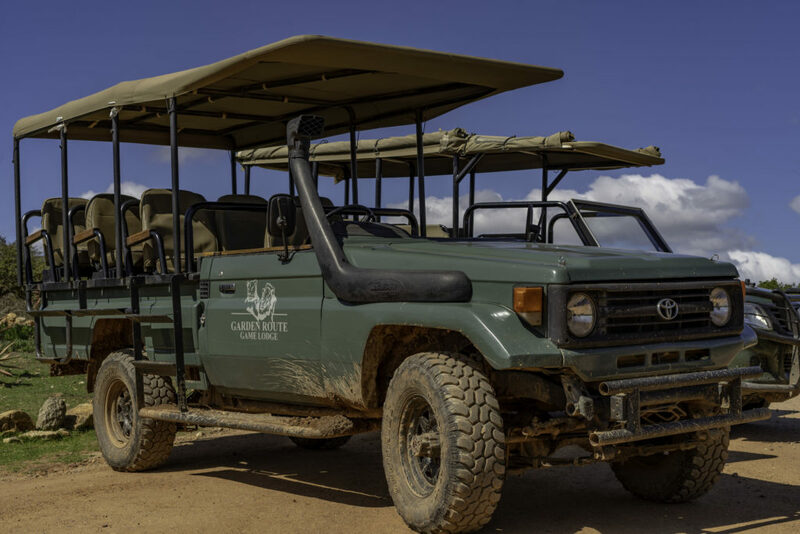 I’ve seen them on TV before but had never ridden in one until this safari. The guide confirmed what I had already suspected: sit in the back row if you want a bumpy ride. That’s not ideal for taking photos so I sat near the middle. The first animals we came across were a heard of zebra. I learned that Americans are pretty much the only people who pronounce it ZEE-bruh and the rest of the world says ZEH-bruh. The guide told us that zebra stripes make them harder to hunt because predators can’t tell where a single body starts and another ends. This picture doesn’t do the beauty of this lion justice. I wish I had another camera lens with me that was capable of zooming in closer to his gorgeous mane. 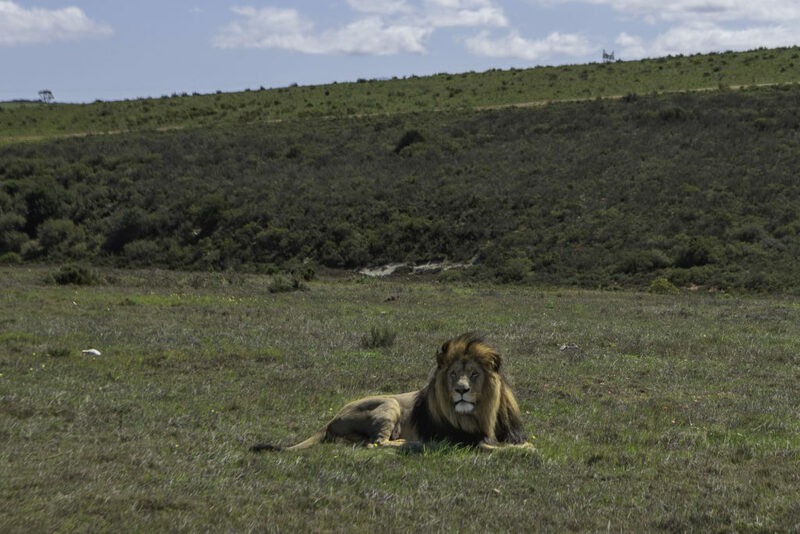 We were lucky to see him awake during this time of day because lions hunt at night. Even though he was just lounging around, he had a truly powerful presence to him. The white patches of fur around the lion’s eyes help reflect moonlight into the eyes, improving their ability to hunt at night. Learning this somehow made them even more intimidating. This female lion was one of three females at the game lodge. This is how lions organize themselves in the wild, one male to several females. The game guide made a joke about how this could either be a blessing or a curse depending on how you look at it. This cheetah was relaxing in the shade after just having caught some lunch. You can even see a little bit of blood around its mouth. The leftover carcass was sitting to the left, just out of the frame. 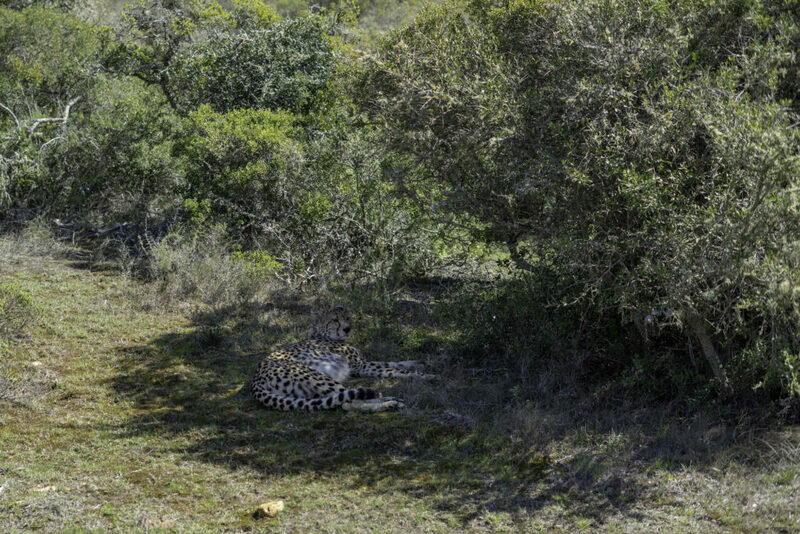 Apparently, this was unusual for because the cheetah had eaten the day before and shouldn’t have been hungry enough to kill fresh prey again. The guide got out of the safari vehicle about five feet away from the cheetah, which made the rest of us a little uneasy. He wasn’t worried because he had gotten so familiar with the animals at the lodge that he could read the cheetah’s temperament. It was impressive how in tune he was with the wild animals. 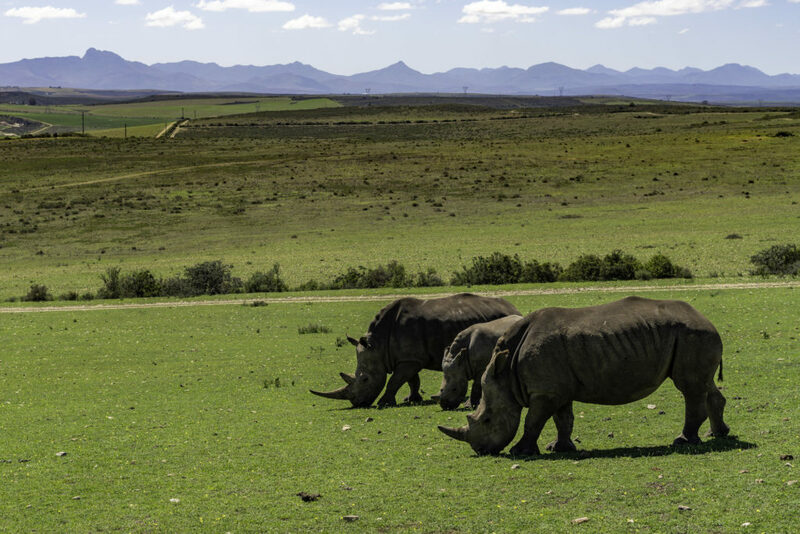 Severe poaching, coupled with a gestation period of around 450 days, have rendered the rhino an endangered species. The bright side is that this family of rhino are at the game lodge. The adorable baby will grow up to be strong and healthy. We sat quietly and observed this family grazing for a while. We didn’t disturb them because we were far enough away that they most likely couldn’t even see us. We were only about five or 10 meters away, but that’s how poor rhinos’ eyesight is. Rhinos really are gentle giants. Their slow, deliberate movements were quite peaceful. 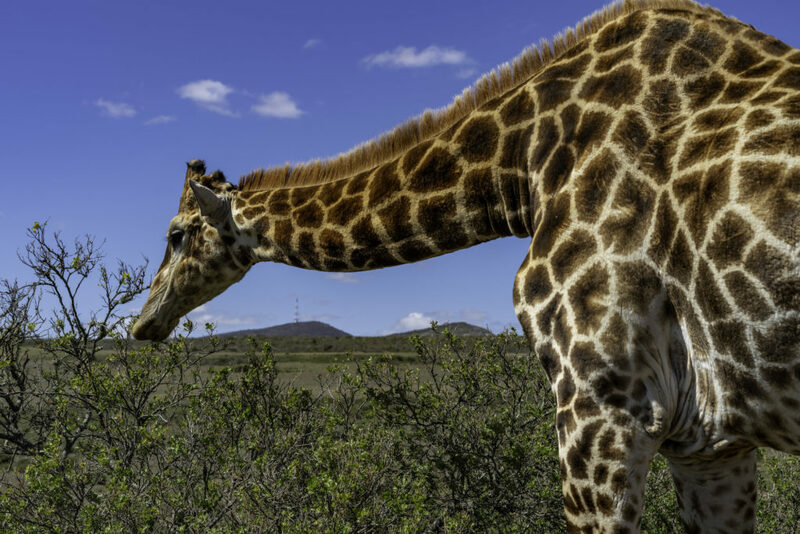 Just like the rhinos, this giraffe had a tranquil presence to him. The guide drove the game vehicle almost right up next to him. He didn’t mind us being there at all. We didn’t get this close to any of the other animals. I scrambled to the right side of the vehicle to start snapping photos. 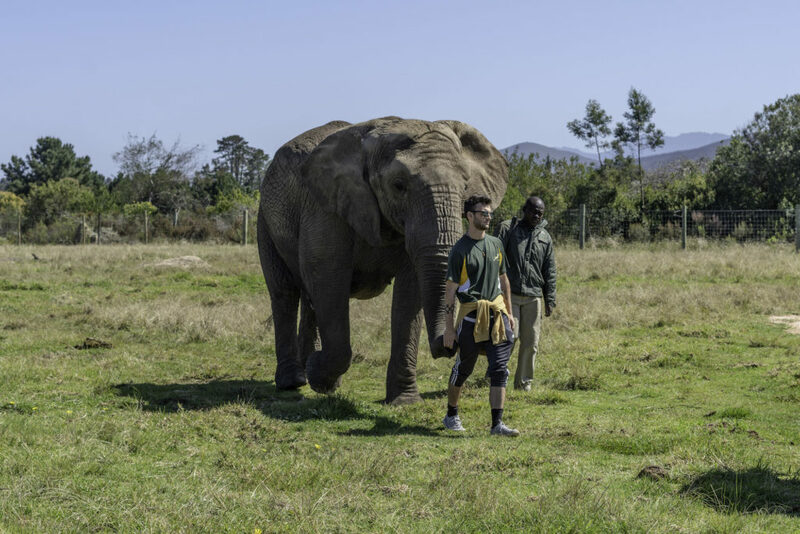 On the second day of our safari excursion, we headed out to a nearby elephant sanctuary to spend time with these magnificent creatures, many of which were rescued from circuses. Elephants pretty much have to be mistreated in order to get them to perform. It was great to see that they had plenty of space to walk around and that the handlers treated them with love and respect. I could tell the elephants really trusted them. I’ve always heard about how smart elephants are. It was amazing to witness that in real life. They understood the trainer’s commands and responded to their names. When elephants walk as a herd, they walk trunk-to-tail. They form a single-file line, holding on to the tail of the elephant in front of them with their trunk. We simulated this line as we entered the sanctuary. It’s kind of scary at first because of how strong their trunks are and how much bigger they are than us. The trunk grabbing onto my hand was nothing like I’ve ever felt before. There are thousands of muscles in the trunk. I could feel how strong it was. Elephant skin is thick and rough like sandpaper, especially at their elbows and knees. I won’t forget the experience of interacting with these creatures for a long time. 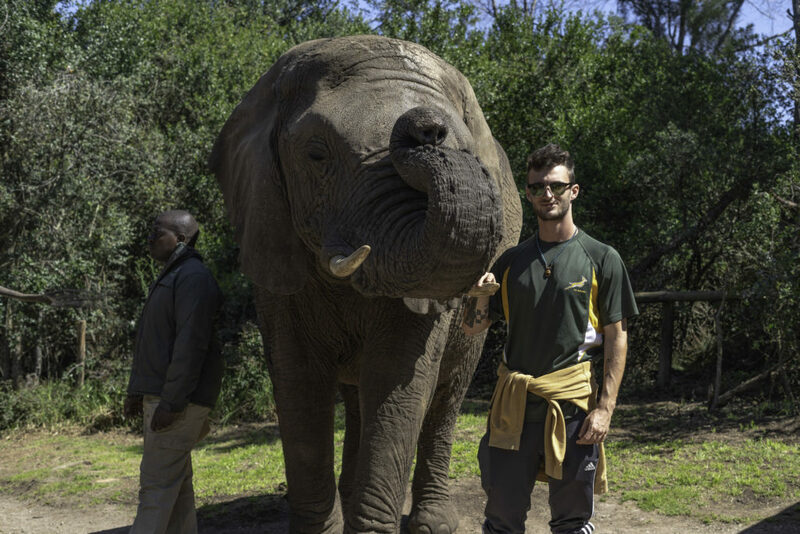 Connect-123 offers international internships, volunteer programs and a wide array of service learning opportunities in Cape Town, South Africa. If you are interested in finding out more about the different internships available in Cape Town, click here to get in touch! I've never thought of myself as artistic. Drawing or writing was never really my thing, but photography has helped me to realize my creative side. I love that is subjective. There is no right or wrong. When I capture an image I find appealing, I can feel it, and that is so satisfying. I carry my camera around because it's a source of fun. Wherever I go I can always take pleasure in walking around trying to find a good photo. 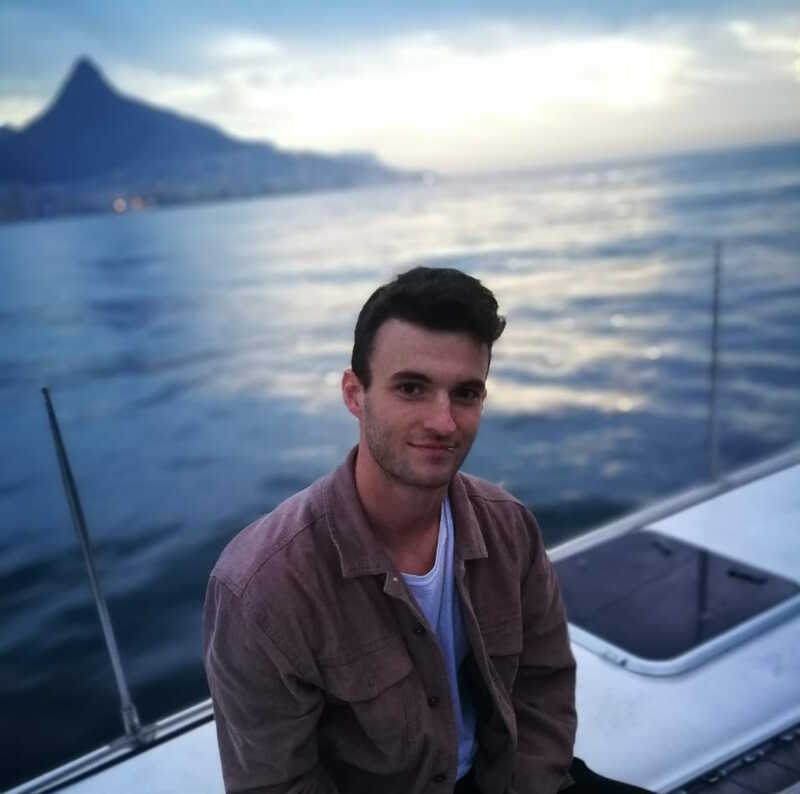 I spent three months in Cape Town doing an internship in Digital Marketing and Strategic Advertising. I'll graduate in Spring 2019 with a Bachelors in Advertising Management from Michigan State University. I look forward to sharing the sights of Cape Town through my lens with you.